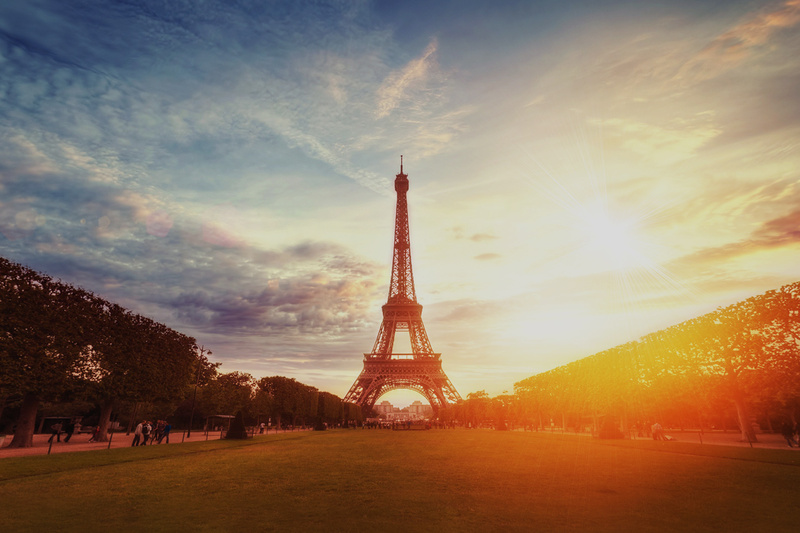 ABTA has been a trusted travel brand for more than 60 years. Indeed in a recent survey it was found that 75% of the British public recognise the logo. Furthermore, 7 out of 10 people questioned, regarded ABTA membership as either ‘important’ or ‘essential’ when making a holiday booking. Most holidaymakers continue to trust ABTA, understanding it to be a safe, reliable and reassuring brand when it comes to travel – and with very good reason. ABTA is the UK’s largest travel association, representing travel agents and tour operators that sell £31.5 billion of holidays and other travel arrangements each year. ABTA has always provided expert advice to you, the travelling public (and us as travel professionals) and lead the travel industry in supporting high service standards, working with ABTA Members on health & safety, and promoting responsible tourism at home and abroad. As members, we have to abide by the ABTACode of Conduct, which governs areas such as accurate advertising, fair terms of trading, changes to bookings and managing customer complaints. The Code requires all ABTA Members to provide you with information on insurance, visas, passports, health requirements and alterations to your travel arrangements. Booking a holiday is of course an exciting time, but it can also be time-consuming, confusing and stressful. If you’ve booked with an ABTA Member then you’ll be able to relax a little earlier. Safe in the knowledge that you’ve booked with a reputable travel company, you’ll be able to look forward in confidence and en joy all the good things we might expect from a holiday including the chance to meet new people, discover new places and escape routine. ABTA works with the Foreign Office and with destinations all over the world so it knows what is happening and when. It means being able to provide around-the-clock expert advice in a crisis. But it’s also there to help you to understand your rights; for example, if your flight is cancelled or delayed, or if government travel restrictions are announced which affect your holiday plans. A reputable travel agency or tour operator will be liaising with you and ABTA and to ensure that all bases are covered and that you have the best possible advice – just like when we had the ash cloud as well of course. 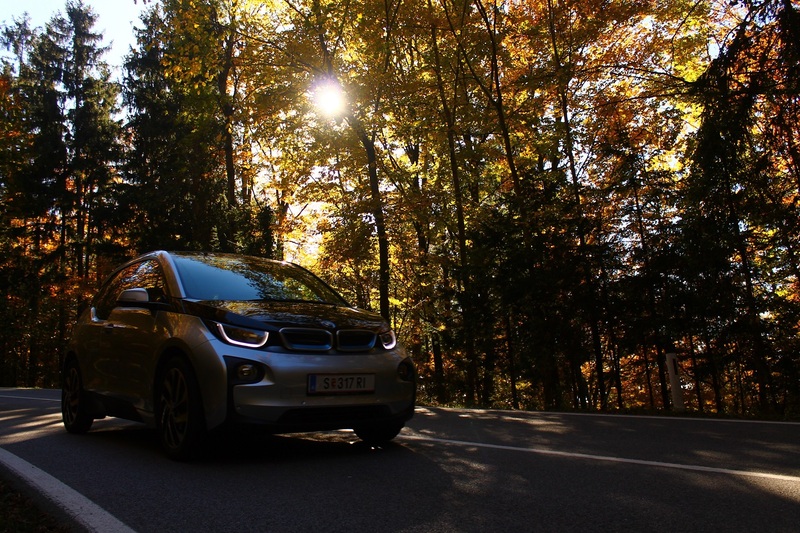 We had hundreds of clients away abroad at the time but managed to get everyone home as quickly as possible and with the least inconvenience to them. 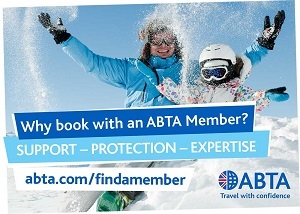 So, if you’re planning a getaway, just remember to look for the ABTA logo in order to book and travel with confidence. At Absolute Travel, we are members of ABTA. 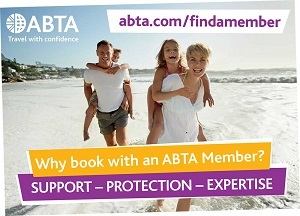 We are also delighted to support their new campaign highlighting the ABTA offer: support, protection, expertise. Visit www.abta.com for further details or simply call in at Absolute Travel for a leaflet. Check out www.absolutetravel.co.uk for up to date offers or call us 01279 648 900 for a chat.